Aaron Blunck is off to a fast start this year. 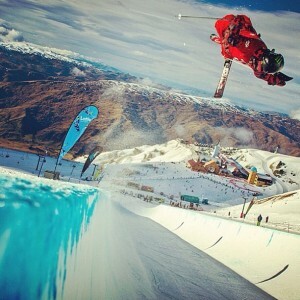 The seventeen year old Crested Buttian kicked off his 2013/2014 winter competition season with a second place at the FIS World Cup at Cardrona Alpine Resort in New Zealand. Immediately after practice, nasty weather rolled in and forced event organizers to make the event a one run competition. “Everyone had to deal with the same conditions, so it came down to who could put down a run,” Aaron explained after his run. He did just that, laying down a solid run that earned him an 83.8, 2.8 points behind Finnish skier AJ Kemppainen. The podium was rounded out by Vail skier Taylor Seaton. On the ladies side, American Devin Logan dominated the field in her first competition since sustaining a bad knee injury last season. Angeli Vanlaanen, who is returning from a severe battle with lyme diesese, took second place, followed by Swiss skier Mirjam Jaeger. 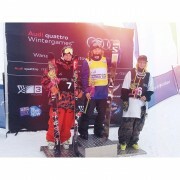 The result is huge for Blunck, as it is a large step to getting invited to the U.S. Qualifier event in January. At the Qualifier, Blunck needs to place in the top four to get invited to the Winter Olympics at Sochi. But for now, he can unwind and explore New Zealand. Blunck plans to visit Milford Sound, check out Queenstown, and go bungee jumping before resuming training for the NZ Open. While the Open does not count towards Olympic qualifying, it is good international experience for Blunck, who will be competing in slopestyle as well as halfpipe. And after accomplishing his most important goal of the trip, Aaron can relax and enjoy himself, which is when he performs his best anyway. Watch the highlights by following this link to the FIS website (Aaron’s run starts at 0:50) and check back with the West Elk Project for updates from Aaron’s trip.